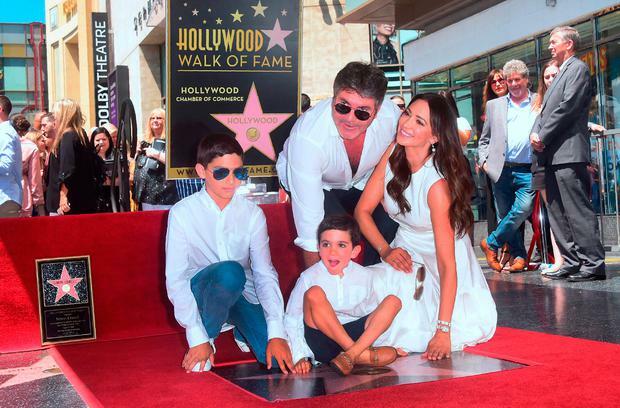 Simon Cowell looked the picture of happiness as he was joined by his young family as he accepted his star on the Hollywood Walk of Fame. 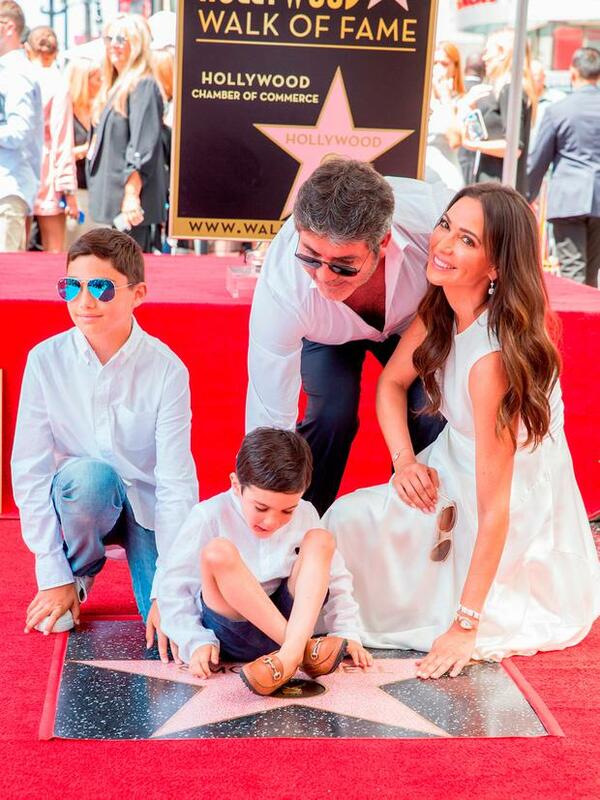 The legendary tv producer, who is behind the X Factor and America and Britain's Got Talent, was given the elusive honour on Wednesday for his contributions to television entertainment and was accompanied by his long-term partner Lauren Silverman, their three-year-old son Eric and Lauren's son Adam, from her previous marriage. He paid tribute to his long-term love, describing her as his "rock", admitting he wished his late parents Julie and Eric were there to see it. "Lauren, you have been my rock over the last few years. And one thing I was thinking about today was who would have got the biggest kick out of this and it’s my mum and dad, and they are not here," he said. He went on to say that American television was a huge influence on him as a child and always part of his entertainment ambitions. "I was a massive fan of American television, American movies, when I was growing up. 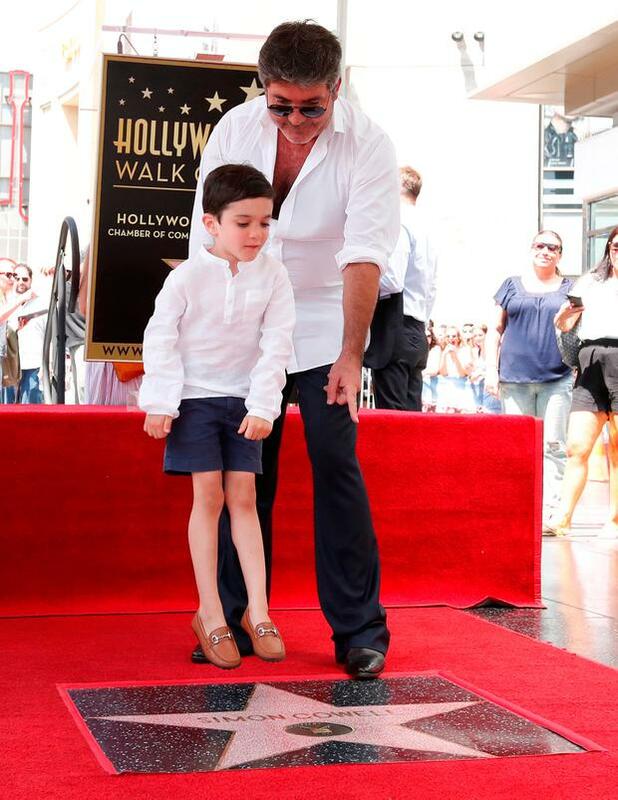 I remember the first time I came to Hollywood, a long time ago and thinking it was the most magical place. And now I’m looking down at this, it’s so surreal," he explained. A number of his former proteges, including Kelly Clarkson, who won the first season of American Idol, Leona Lewis who previously won the X Factor and One Direction's Louis Tomlinson, came out in support of their former mentor, who kickstarted each of their careers. "It’s been a blast, the last 18 years. And if anyone says fame is a bad thing, I don’t know what they are talking about because it’s the best thing in the world," he added.